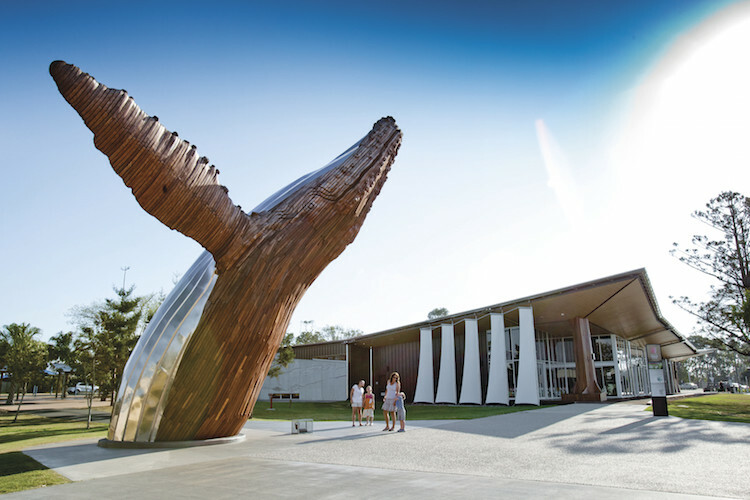 Hervey Bay is the whale watching capital of Australia. 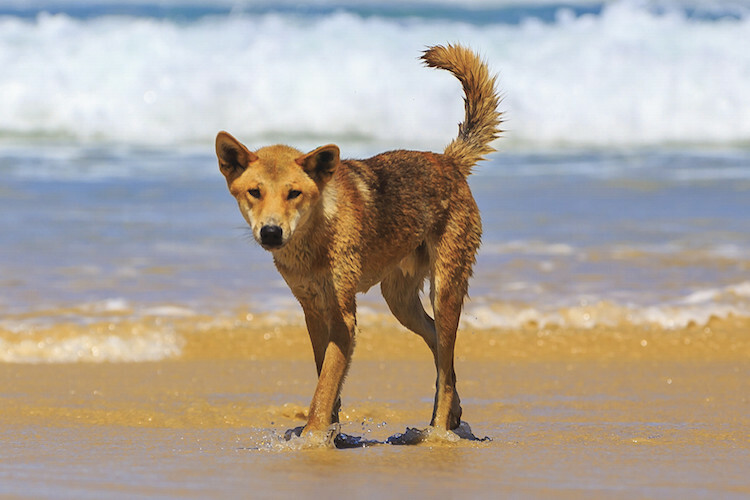 It is also the hub for tours to nearby Fraser Island, which has beaches and features rain forest habitat for dingoes and other wildlife. The Resort is directly across The Esplanade from Torquay Beach on Hervey Bay with long sandy beaches & calm water for family water activities, like swimming, snorkeling, kayaking, jet skiing, sailing and fishing. 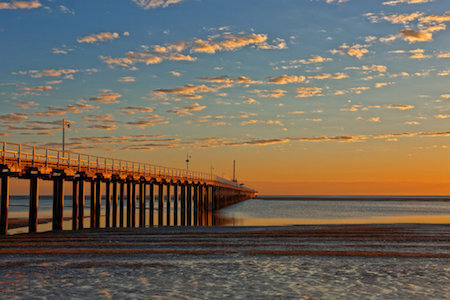 From Riviera Resort you can take a walk along the beautiful Hervey Bay Esplanade & have a coffee at one of the many coffee shops. Or visit the local club or pubs including the local Irish Pub. You have a large selection of local restaurants that are walking distance. Many are dine in and take-a-way, while some offer delivery to your room. The local restaurants cuisine ranges from, fish & chips, Chinese, Thai, French, Indian, Japanese, Mexican & Italian. Let our experienced booking agents put together the perfect holiday for you. Contact us to enquire about current special and package discounts. A 10% discount applies for all tour bookings made at the same time as your accommodation booking. 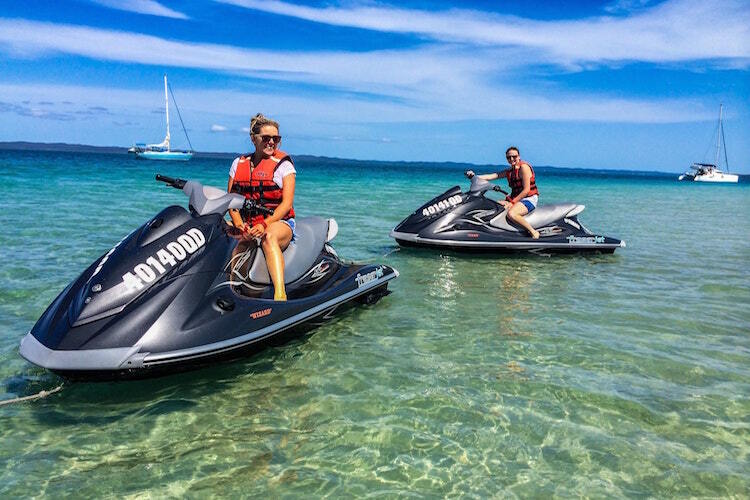 Departs daily from Hervey and Rainbow Beach. Drive along Fraser Island’s sand tracks to Central Station, Wanggoolba Creek, 75-Mile Beach to see The Pinnacles and the wreck of SS Maheno, on to Eli Creek, Lake McKenzie for a fun adventure with an expert guide who’ll manage tide, traffic and navigation while informing you all about the island. Tour includes Courtesy transfers to and from your local accommodation house, return marine transfers, National Park fees, expert local guide and buffet lunch at Eurong Beach Resort. Day 1 Drive along 75 Mile Beach ocean highway and if you wish take off on an Air Fraser joy flight. 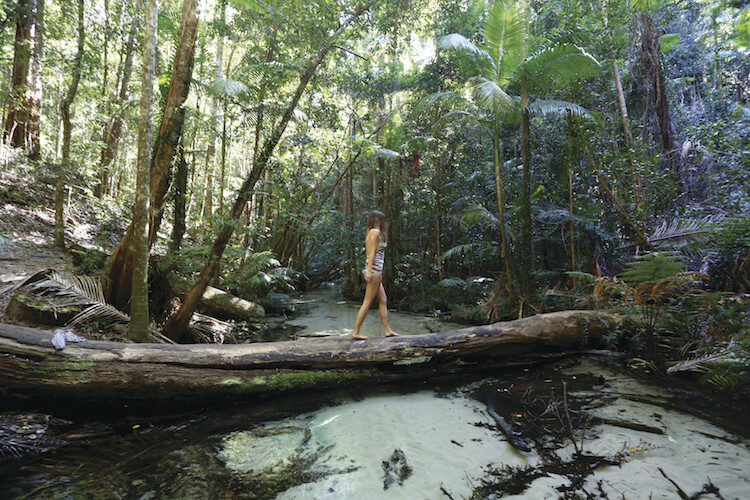 Discover ancient rainforests and king ferns at Wanggoolba Creek and Central Station. Visit perched lakes and take a dip in the clear waters of Lake McKenzie, the most photographed location. 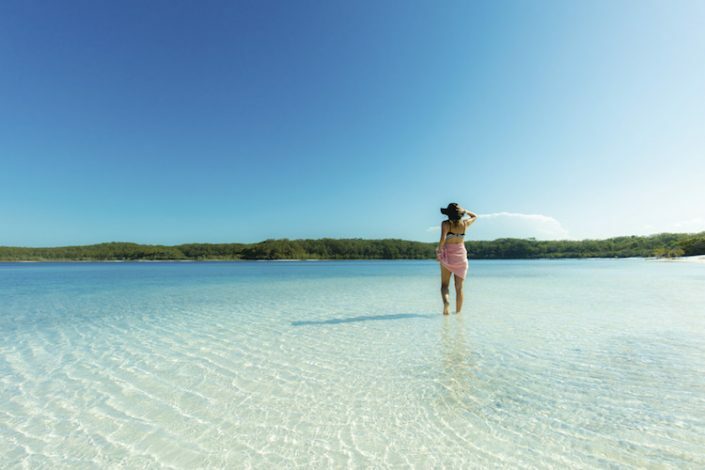 Swim in emerald-green Lake Wabby after walking across Hammerstone Sandblow. Day 2 Wade the waters of Eli Creek or float downstream to the Pacific Ocean. 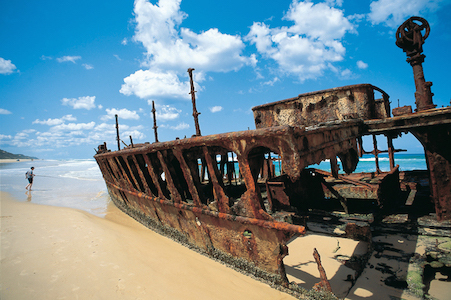 Snap photos of the SS Maheno shipwreck. Visit the Pinnacles Coloured Sands and learn of their creation. 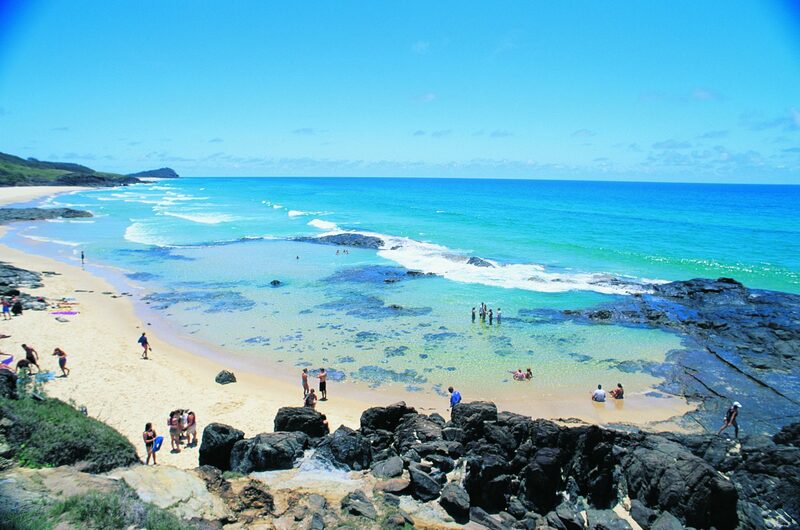 Indian Head for the magnificent view and see Fraser’s marine life in the Coral See. Champagne Pools’ rocky formation forms a gorgeous natural jacuzzi. Tour Includes: Courtesy transfers to and from your local accommodation house, return marine transfers, National Park fees, one night ensuited accommodation at Eurong Beach Resort, buffet dinner, breakfast and two lunches. No extra costs. 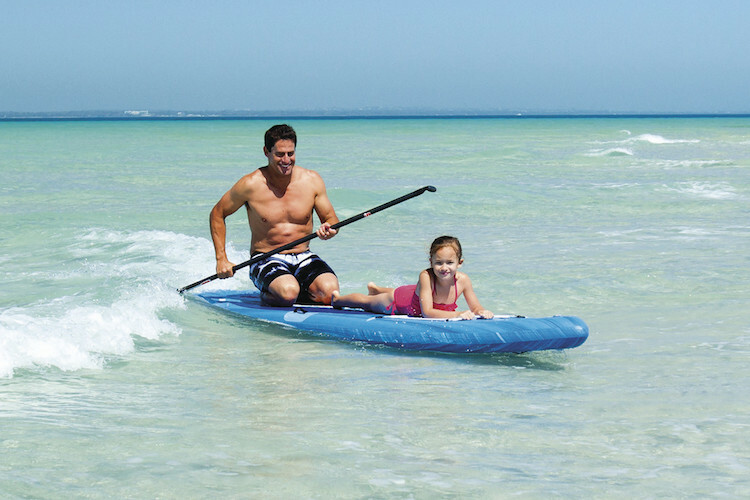 Your ‘Day Away’ to Kingfisher Bay Resort includes: Courtesy pick up from your Hervey Bay Accommodation. Return Passenger ferry transfers from River Heads (depart at 9.00am or 12.30pm and return at 2.00pm, 5.00pm 8.30pm or 11.00pm. Ranger-guided morning eco walk within the resort’s grounds. Morning or afternoon tea. Access to resort amenities including The Sand Bar’s pools. Your meal choice off the full Sand Bar menu. 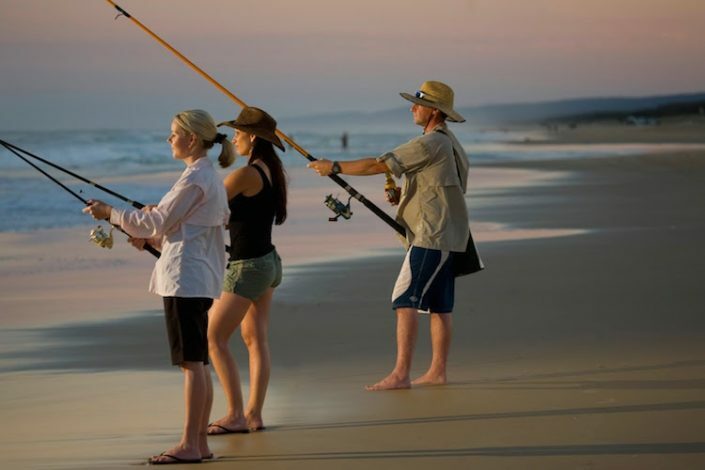 Participate in the Fishing Clinic at the Jetty Hut and cast a line off the jetty or western beach with our fishing rods. 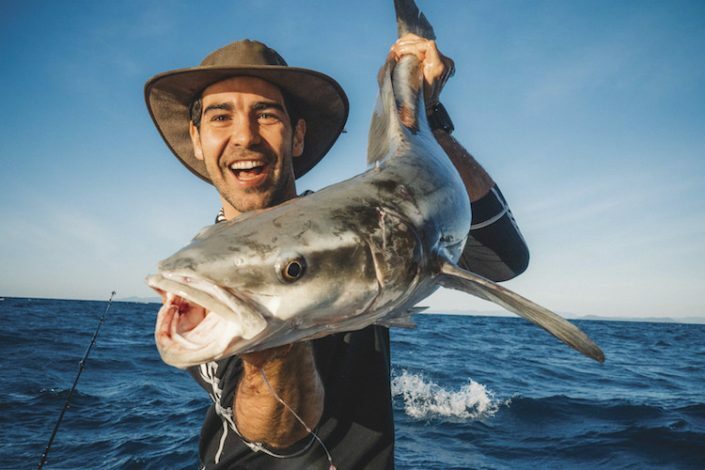 (Fishing equipment available at an additional charge) Ranger-guided canoe paddle – book at the Jetty Hut on arrival. 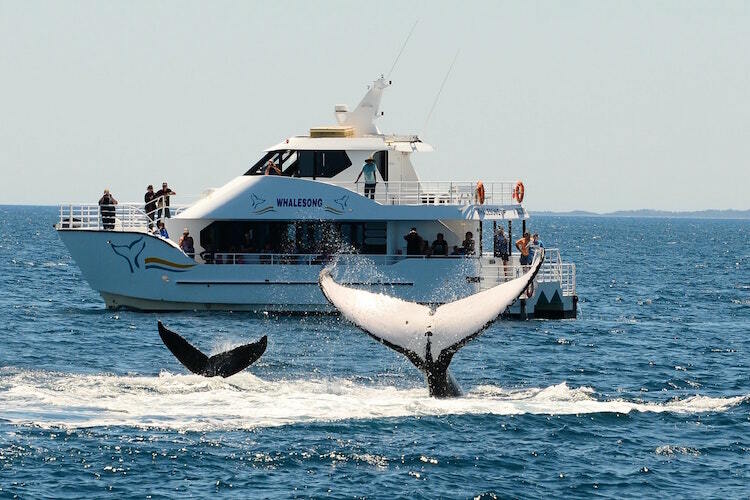 Best Whale Watching In Australia! Half day whale watch tours. Purpose built viewing platform. Underwater viewing windows. Fast and luxurious catamaran. Locally owned and operated. Over 20 years experience. Guaranteed sightings. Delicious morning or afternoon tea. Fully licensed. Kids corner. Free WiFi. 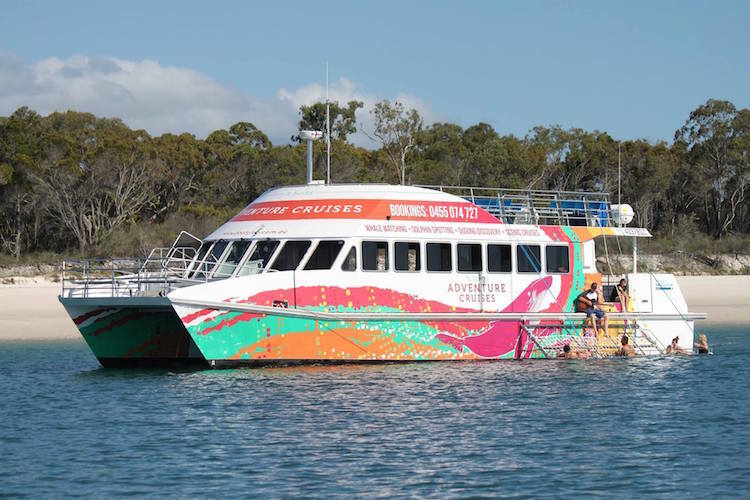 Tasman Venture is a fast and luxurious catamaran which enables you to travel to the whale watching grounds in the fastest possible time. 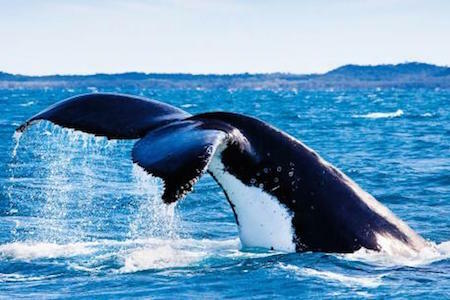 This means more time with the whales for an unforgettable tour in the whale watch capital of the world. 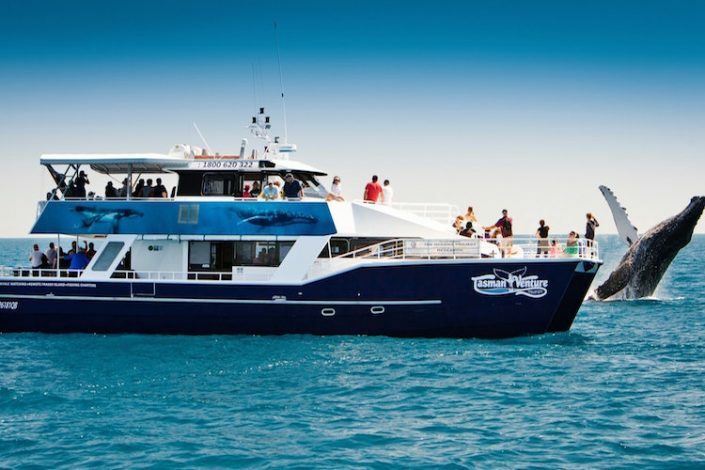 The specifically designed vessel has large decks, including water level viewing platform offering unobstructed whale watching of these gentle giants of the sea. 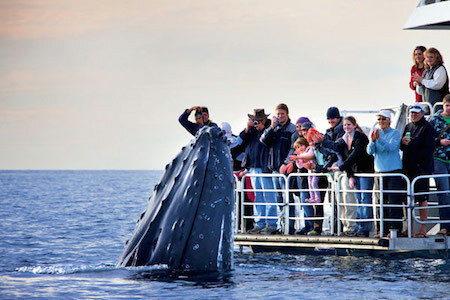 With the most experienced crew (combined 70 years) you will encounter the best whale watch tour possible. 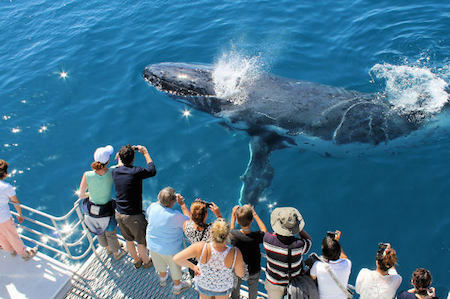 Half day Whale Watch Cruises 8.00am returning 12 noon or 1.00pm returning 5.00pm. Guaranteed sightings. Water level viewing area. Low passenger numbers. Both cruises include freshly prepared quality substantial morning and afternoon teas. Complimentary tea, coffee and filtered water throughout cruise. Kids activity sheets and toddler toys. Wheelchair access. Guaranteed sightings or a free return trip! 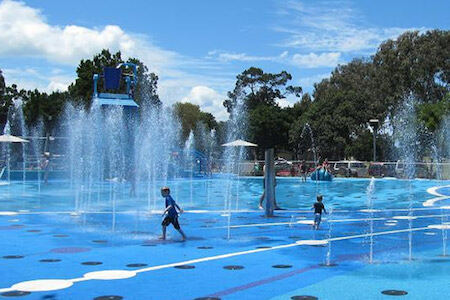 Swim with the whales and boom net rides (conditions permitting). Free courtesy bus pick up within Hervey Bay. 3 Speciality viewing decks with an unobstructed 360 degree view of marine life. Morning or afternoon tea served on-board. Fully licensed. Air-conditioned. Hydrophone and underwater camera equipped for an intimate marine experience. 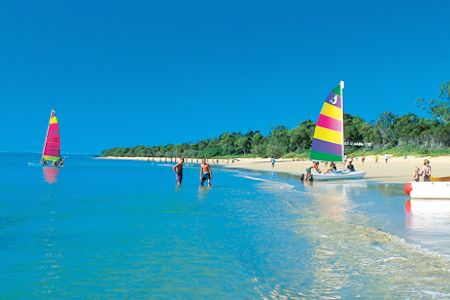 Discount meal voucher to dine at the Hervey Bay Boat Club. Car Parking. 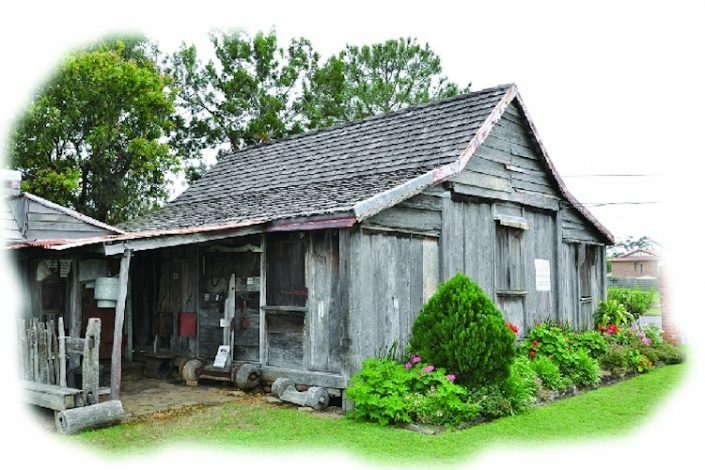 Here are other links of local attractions.